Fox Sports has confirmed the return of a dedicated channel for this year’s Supercheap Auto Bathurst 1000 week. Firing into life on October 2nd, Fox Sports 506 will become the home of the event, with every track session live, continuous and in High Definition. Race week will again see a succession of classic Bathurst races rebroadcast alongside a suite of special programing. Hosted by Jess Yates and Russell Ingall, the new ‘Bathurst Top 10 Shootout’ from 6:30pm on October 2 will countdown the event’s most memorable moments. Fans will be able to have their say on what features on the show via a poll on Fox Sports’ Facebook page in the lead-up to the premiere. Bathurst Legends returns at 8.30pm to delve into the folklore of The Great Race and some of the most memorable stories to have emerged from the mountain. This year’s episode takes an in-depth look at the 2006 race weekend, which was run just a month after Peter Brock was killed in a tarmac rally. 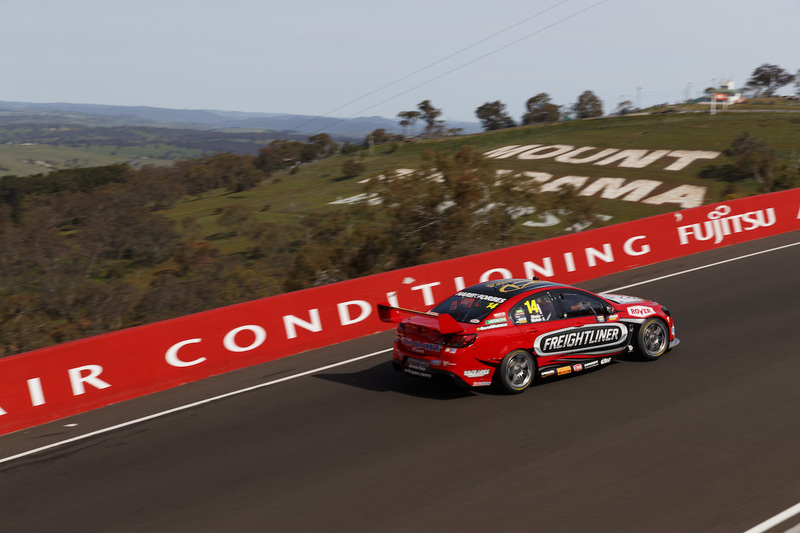 The Bathurst event saw the tragic death of Mark Porter in the Development Series race before Craig Lowndes led his Triple Eight team to an emotional victory. Fox Sports’ Bathurst channel will also pay tribute to some of the biggest names to have conquered the mountain in Bathurst Heroes & Legends, premiering on October 3 at 7.30pm. Neil Crompton will be joined by Allan Moffat, Jim Richards, Fred Gibson, Colin Bond and Mike Raymond for the 60-minute program that will examine some of their finest achievements. Inside Supercars returns at 6.30pm on October 4, with Mark Skaife, Greg Rust, Greg Murphy, Crompton and Yates on hand to preview the action ahead. Attention turns to the track from October 5, with Skaife and Crompton calling each session, while Ingall and Yates analyse the action and all the big talking points across the weekend. Then on October 6, Pit Lane LIVE returns to take viewers behind the scenes as drivers and teams prepare for the biggest race weekend of the year. The show will also feature the Grand Final of the Pirtek Pit Stop Challenge, where the four fastest crews of the 2017 season compete for $25,000 and the Golden Rattle Gun Trophy.